landmark moment for Middle Eastern design as the region’s first graphic design biennial opens in the city of Sharjah on 9 November the biennial will be the biggest graphic design event in the Arab world, bringing hundreds of global practitioners and design thinkers to Sharjah for a three-week programme of events and exhibitions designed to explore, challenge and reinvent our understanding of the purpose and meaning of graphic design in the 21st century. The first event of its kind in the Middle East and North Africa region, Fikra’s biennial brings together hundreds of designers, institutions, and influencers from across the global graphic design spectrum for a multi-part exhibition and three-week programme of talks, workshops, performances, and other events that collectively challenge and build upon preconceived ideas of graphic design and of the role of the graphic designer. In total, the exhibition and event programme includes more than 40 collectives and individual participants from over 20 countries. "I think we are at an exciting time with graphic design – the lines between different disciplines are becoming so blurred, the question of who graphic designers are, what they can do, how they ‘design’, and who they design for are increasingly worth reviewing. I would like to think of the Biennial as ‘un-defining’ graphic design, challenging preconceived ideas of the discipline and providing an unexpectedly broad array of graphic design works, concepts, and initiatives" says Salem Al-Qassimi, founder and director of Fikra Graphic Design Biennial. 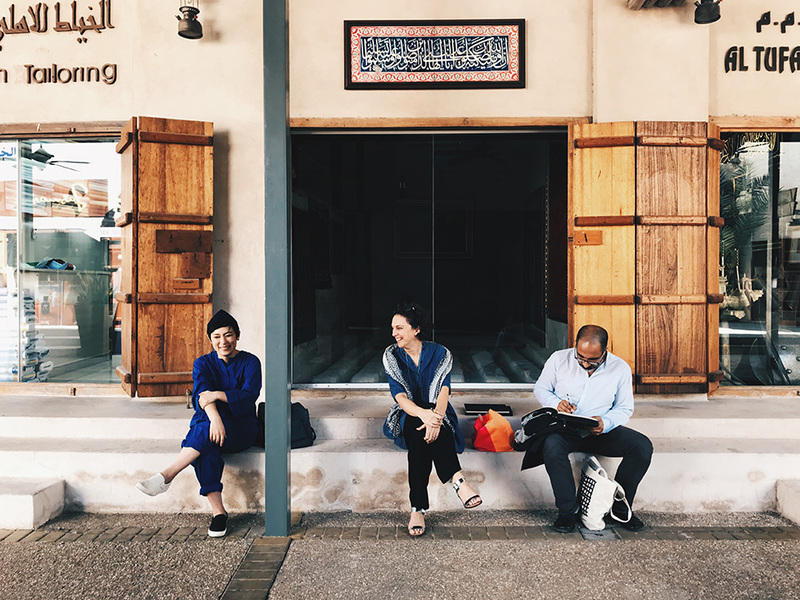 The biennial takes its thematic inspiration from the innovation-driven administrative structures of the UAE (which now include both a Minister of State for Artificial Intelligence and a Minister of State for Happiness). As conceived by the exhibition’s Artistic Directors, Prem Krishnamurthy, Na Kim and Emily Smith, ‘Ministry of Graphic Design’ is a playfully formulated but serious-minded pop-up institution to create a starting point for continued dialogue, research, and understanding within the graphic design field – locally, regionally, and internationally. 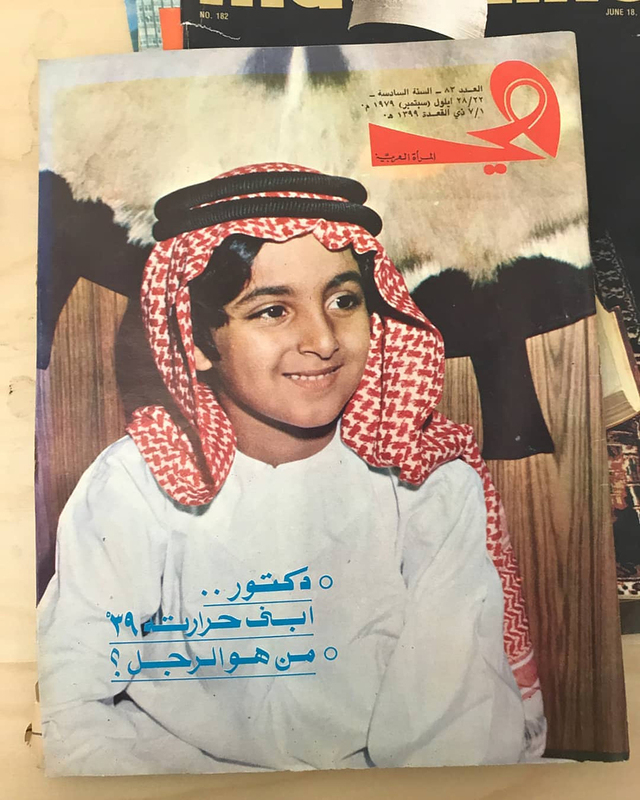 Department of Graphic Optimism, headed by writer and curator Alia Al-Sabi, looks back at the changing role of the graphic designer in the UAE since the country’s formation. Al-Sabi begins the exhibition with a survey of the visual trends and cues that were in circulation in print, newspaper, and media during the 70s and 80s. Encompassing a range of governmental and non-governmental publications and magazines, this section considers such early modes of visual production and how they reflect the nation's identity at the moment of its formation. 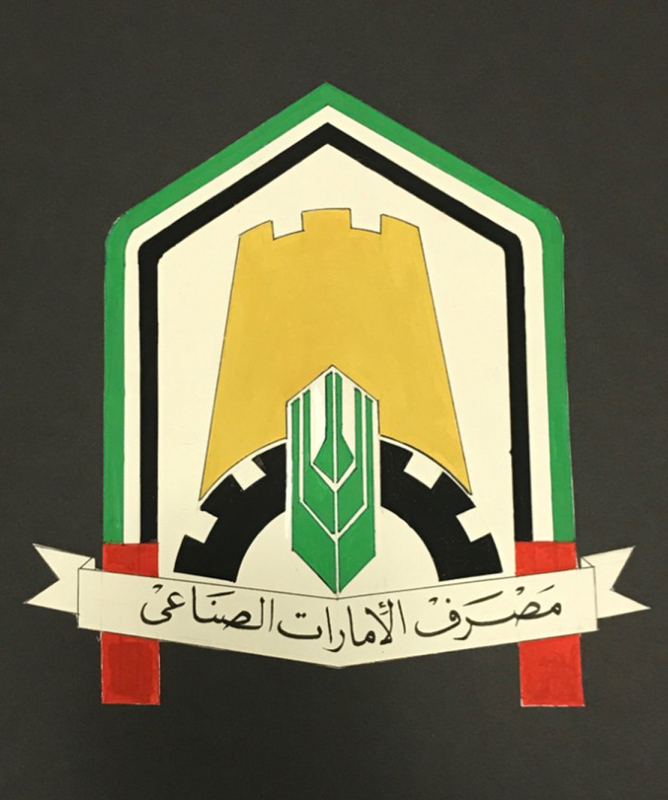 The department also includes an extensive range of work from the design archives of Hisham Almadhloum – a cultural administrator with a parallel practice as a graphic designer who contributed enormously to the direction of UAE graphic design in the 1980s and 90s. Curated by Basel-based non-profit cultural association common-interest, The Department of Non-Binaries celebrates hybridity and ambiguity, crosses boundaries, subverts conventions, and defies expectations. Named in recognition of the Sharjah Art Foundation’s Flying Saucer building, the Department of Flying Saucers, curated by Dubai-based designer Hala Al-Ani from Mobius Studio, is a transient exhibition that will see four independent initiatives rooted in graphic design take turns to occupy a space in the building for a workshop, project, performance, or installation. Department of Dematerialising Language, headed by Kith & Kin explores the communicative potential of objects and symbols beyond the written word and introduces transient, participatory, performative, and other unexpected modes of communication. Curated by anthropological archaeologist Uzma Z. Rizvi, The Department of Mapping Margins presents a programme of talks, events, and interactions that create opportunities to reflect on the state of contemporary graphic design, highlighting regional research, addressing cross-cultural questions, and unpacking the overlaps between working methods, conditions, and models. 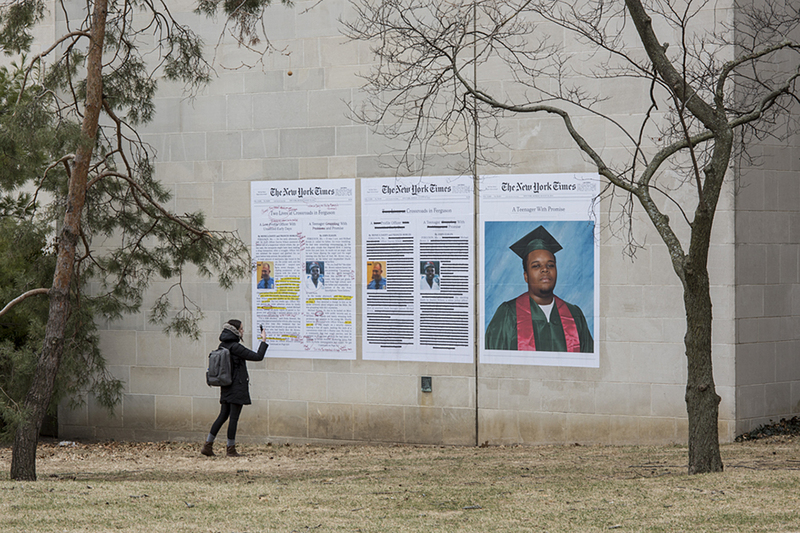 In addition to the departments, stand-alone exhibits include a ground-floor presentation of posters and videos from ‘Jeff Talks’, initiated by Istanbul-based designer, editor, and publisher Esen Karol. 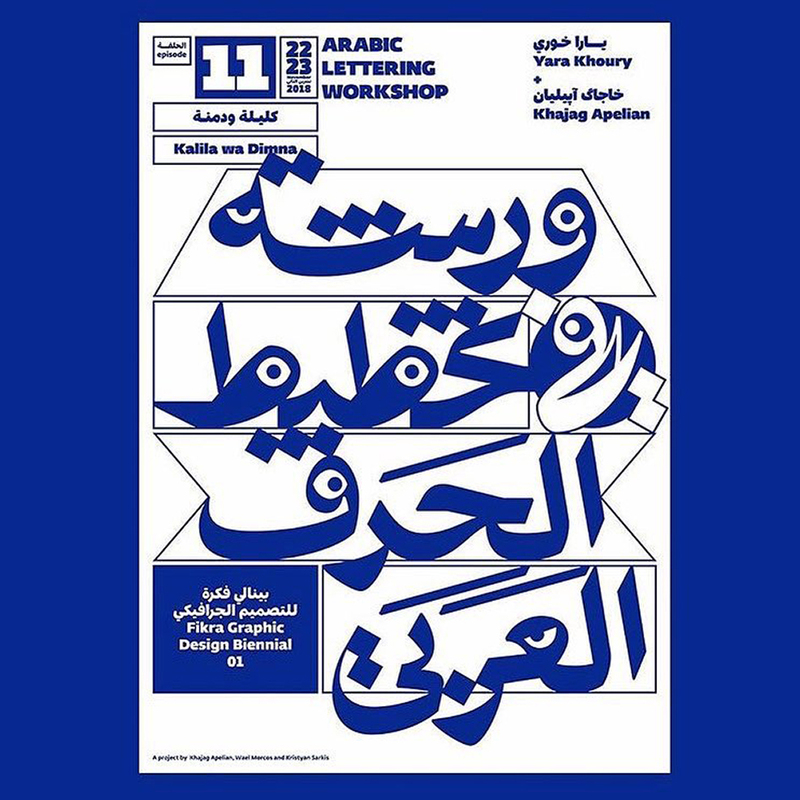 On the exhibition’s top floor, a suite of holographic posters by Arcadian Studio play with conventions of ‘arabizi’ or ‘arabish’ (Arabic texting and chat culture). Intended seriously yet inflected by a tongue-in-cheek approach, the “Ministry of Graphic Design” presents graphic design in familiar and unconventional formats. Based in Sharjah, UAE, the biennial aims to serve as a global platform for Middle Eastern creative practitioners to participate in global design discourse, to nurture local and international collaboration, and to explore the evolving role of graphic design in an increasingly complex and culturally fragmented world. 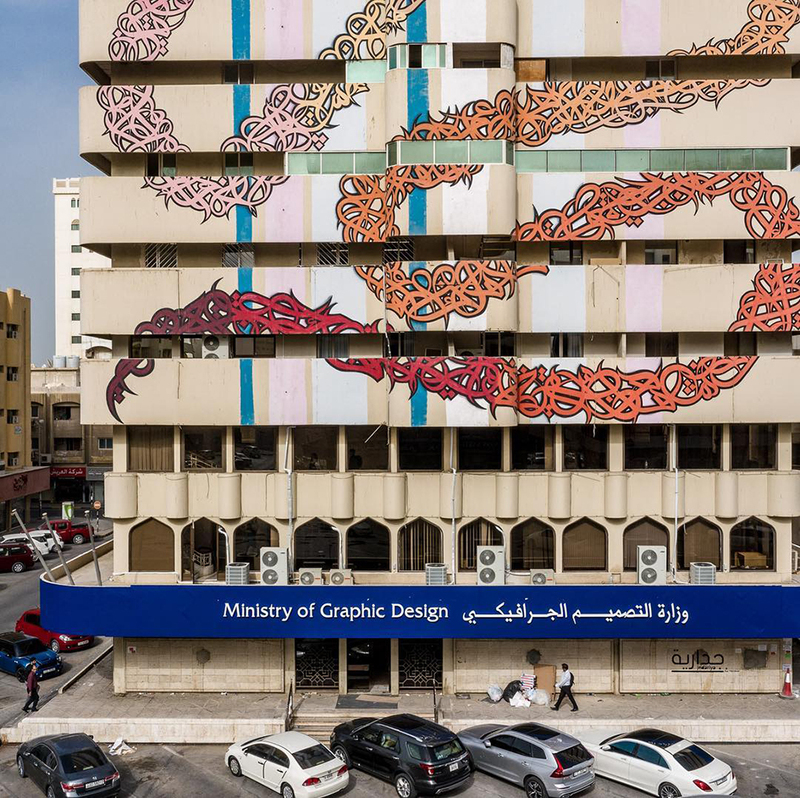 Fikra Graphic Design Biennial 01 will be the final event to take place in the city’s iconic Bank of Sharjah building on Bank Street, built at the height of Arab modernism in the 1970s, but now set to be demolished to make way for the Heart of Sharjah restoration project. Fikra Graphic Design Biennial: Ministry of Graphic Design runs from 9–30 November check here.